Middle East's leading professionals in the oil and gas field will discuss best practices and potential opportunities through cooperation and strategic partnerships at the first edition of the International Gulf Downstream Association Conference and Exhibition, to be held later this year in Bahrain. The event will be held under the patronage of HRH Prince Khalifa bin Salman Al Khalifa, the Prime Minister of Bahrain. 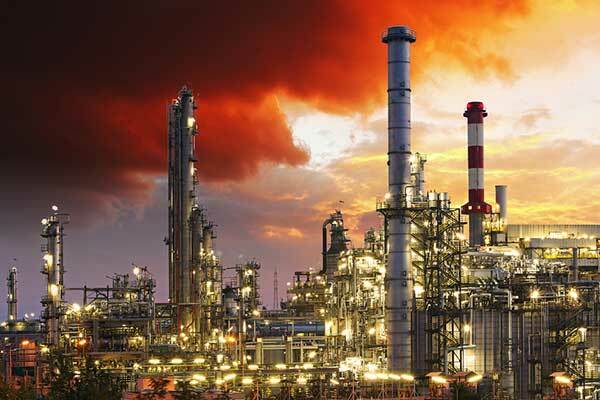 The conference will take place from October 23 to 25, at Bahrain's International Exhibition Center and Conferences, under the slogan "towards a competitive refining through innovation and technology". It will be organised by the Gulf downstream association (GDA), in cooperation with the National Oil and Gas Authority (Noga), with the support from national, regional, and international companies. Shaikh Mohammed bin Khalifa Al Khalifa, the Minister of Oil, expressed his sincere appreciation to HRH Prince Khalifa Bin Salman Al Khalifa, for his total care and support to the international conferences that is being hosted by Bahrain, which confirms the ongoing support from HRH to the development process in the oil and gas sector in Bahrain. The Minister of Oil emphasised the status of the activities of the oil and gas sector and petrochemicals, in Middle East, praising the existing cooperation between the GDA and other organisations and Noga in choosing Bahrain to hold their events. Shaikh Mohammed confirms the support of the government of Bahrain in attracting and hosting specialised events, in the oil and gas sector. Also, to provide all kinds of facilities that help the organisers in achieving what they aspire to reach and to exchange the sharing of experience between the relevant authorities. The first edition of the conference will be a replacement for the series of petro-tech conference and exhibition, which was hosted by Bahrain in the past years and that it would be a strategic platform in the Middle East's leading professionals in the field of refining capacity to meet the challenges of business and the exchange of best practices and potential opportunities through cooperation and strategic partnerships. Shaikh Mohammed stated that this conference and its exhibition aims to involve regional stakeholders and international partners in all parts of the business community, academia and technological services providers to take advantage of the opportunities for investment, innovation and growth. The official praised the efforts of the chairman of the GDA Board; Mohammad Ghazi Al-Mutairi, CEO of KNPC; Suleman Al Bargan, executive director of Domestic Refining and NGL Fractionation, Saudi Aramco; Ebrahim Talib, deputy chief executive of Bapco; Dr Nabil Bourisli, president and CEO of KPI; Jassim Ali Al Sayegh, CEO of Adnoc; GDA secretary general, Audah Al Ahmadi and many others in establishing this global conference in the Kingdom of Bahrain. The Minister has confirmed the keenness of Bahrain in the success of the oil and gas specialised entities and in achieving their objectives. As well as the exchange of views on the status of the oil and gas market and insure the opportunities of knowledge share and best practice. In a related context, the board chairman of the GDA, Mohammad Ghazi Al-Mutairi, expressed his sincere thanks and appreciation to the Minister of Oil, as well as for supporting and encouraging the GDA, and the support from Noga, which strengthens the relationship of the oil companies. Al-Mutairi continued explaining that the vision of Gulf oil refining is expanding this global event in order to include all of the players of downstream Industry in the final stages of addressing the strategic opportunities faced by the Middle East, particularly the Gulf; confirming that the conference will focus on how engineering “smart” are. The substantive programme of the conference will cover a wide range of topics, including the issues of regional integration and cooperation and attracting investment and qualified labour force for the future, to invest opportunities in the region. On his part, chairman of the conference; Suleman Al Burgan, executive director of the Domestic refineries and NGL- NC Fractionation in the Saudi Aramco company; stated that the activities of the exhibition accompanying the conference will witness major meetings, round table discussions, and workshops, which will be offered by more than 220 experts in the field of downstream industry. He noted that the conference provides a great opportunity for the participants and visitors to exchange innovative ideas and feasible solutions to the challenges faced by the downstream sector and industries.